Yep. It's today. 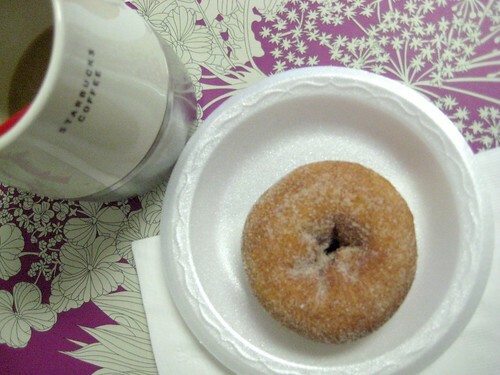 Do you want to know what I ate for breakfast INSTEAD of a donut? Blah. 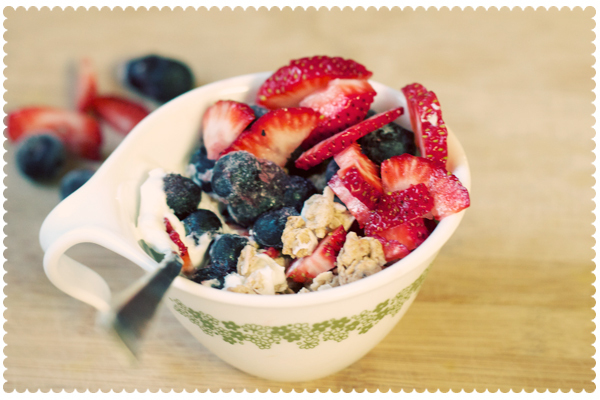 More granola, fruit and Greek yogurt. I didn't plan this working out thing too well. And an update on the working out thing, I have got up all three days so far and done that stupid cardio thing. My legs don't like me and it's very difficult to even straighten them. But, I guess that means I'm doing something to them, right? I did a whole lot better today than I did on day 1 so yay for me! I'm so ready for these next two days so I can have a little break. I know, only three days into it and I'm already happy about 2 days off. Mmmmm donuts....I feel like Homer Simpson! PS I haven't eaten a donut in probably six months. Ben bans them from our house...he's such a health nazi! i laughed at the "stupid cardio thing" comment. pretty sure those exact words have come out of my mouth before. everything looks SO yummy, and the snaps are awesome! Although I've been craving doughnuts for a long time (& I don't even eat them)....that breakfast looks yummy!! I'm impressed! I ate 2 donuts on Tuesday. Oops!